Some toxins and heavy metals may be nearly impossible to avoid in today’s world. Pure Encapsulations’ HM Chelate contains an array of ingredients that may provide natural support for mild detoxification and chelation. 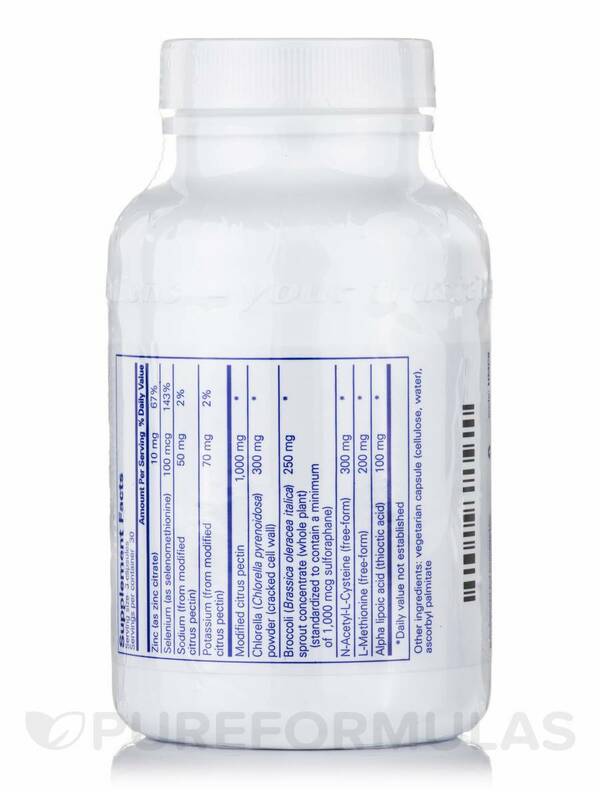 Every three-capsule serving of HM Chelate provides 1‚000 milligrams of modified citrus pectin. Due to its low molecular weight‚ this citrus pectin might be able to pass through the intestinal barrier‚ bind to small amounts of heavy metals‚ and remove those molecules from your body through urination. Meanwhile‚ amino acid compounds like n-acetyl-l-cysteine (NAC) and L-methionine may support your liver by working to manage glutathione levels; glutathione is a natural substance that might have antioxidant properties. Alpha lipoic acid is included in this formula to provide further help addressing certain symptoms of oxidative stress. 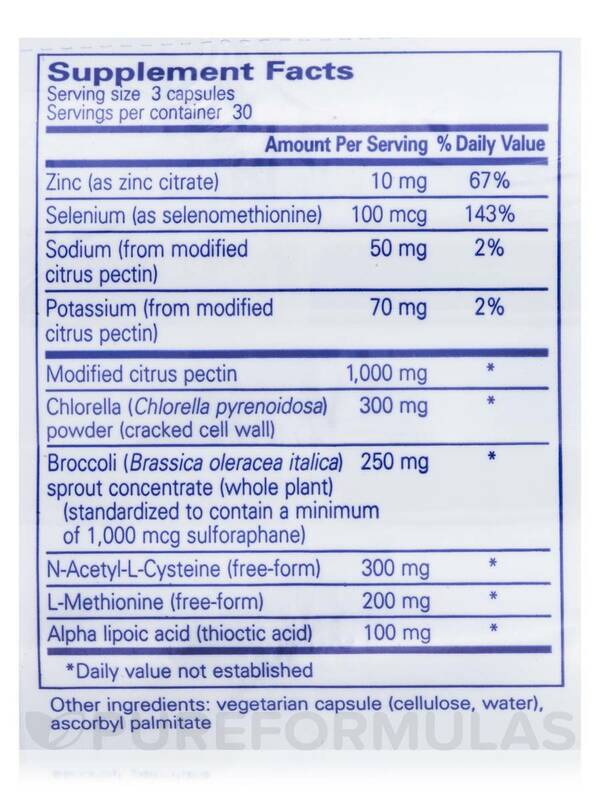 HM Chelate also provides several greens. Chlorella and cilantro may participate in managing the accumulation of heavy metals within your tissues. Finally‚ minerals like zinc and selenium could assist in your body’s efforts to mitigate environmental exposure to toxins. 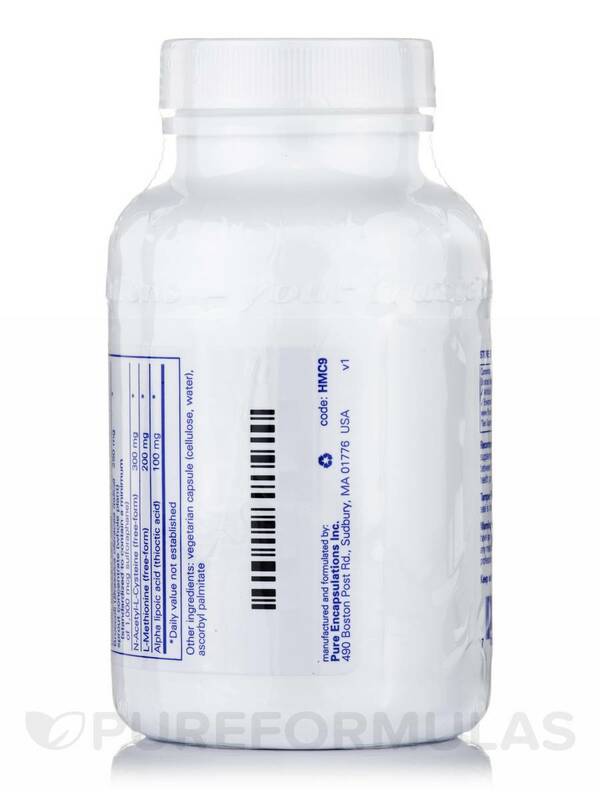 At the standard dosage of three capsules daily‚ each 90-capsule bottle of HM Chelate by Pure Encapsulations should last for about one month. 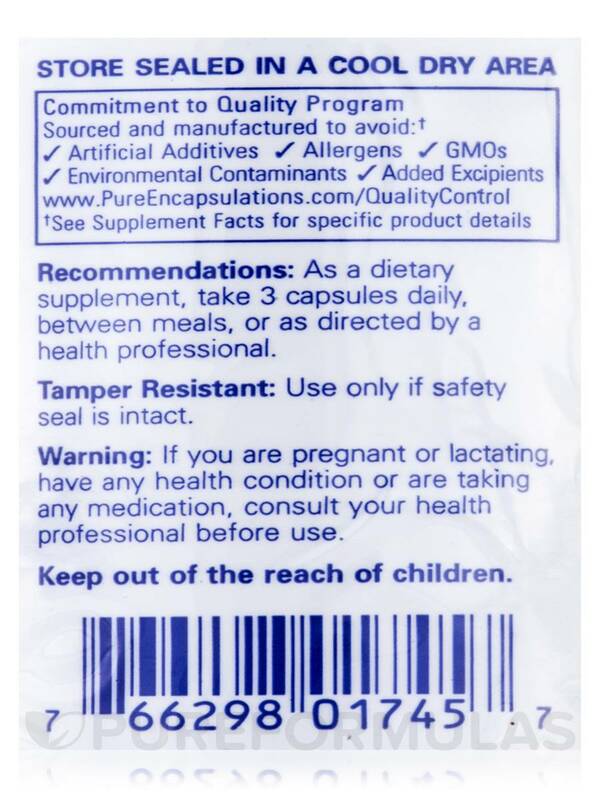 Sourced and Manufactured to avoid: Artificial additives‚ Allergens‚ GMOs‚ Environmental Contaminants / Added Excipients. As a dietary supplement‚ take 3 capsules daily‚ between meals‚ or as directed by a health professional. I am more prone to heavy metals because of my mthfr and my livers ability to detox. This took care of the excess heavy metals in my body! 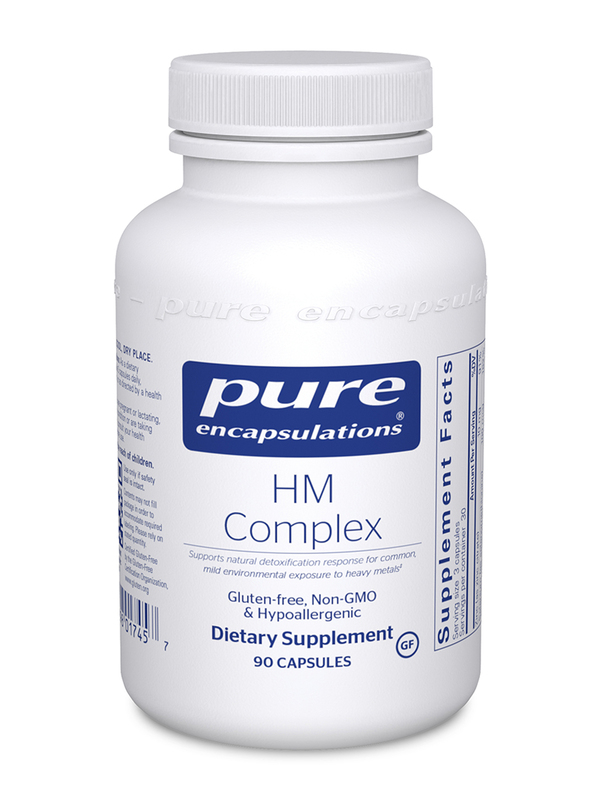 This HM Complex by Pure Encapsulations was recommended by my doctor for my high levels of lead. I was concerned about how it might make me feel. The result? I feel great! No stomach upset, no herx side effects, just a product doing what it's supposed to do. Reasonably priced and doctor recommended quality. 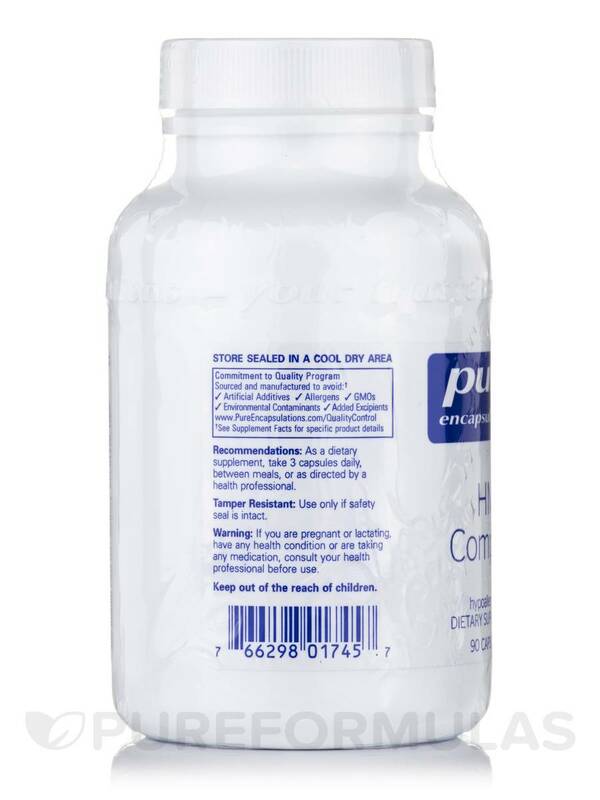 I was searching for a product to reduce or eliminate the mercury and metal content in my body. This works great after I had taken this for only 3 weeks we did a urine test and it showed hardly any metal in my body. Great product with great ingredients for a great price.